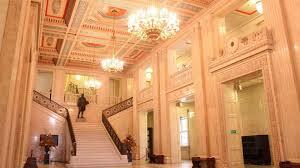 Take advantage of this free tour which provides a brief history of Northern Irish politics. The tour is short, (Approx 40 min), well thought out and surprisingly funny! 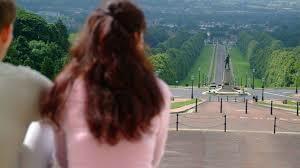 It’s definitely worth jumping off at stop 6 on the Belfast City Sightseeing Hop-on, Hop-off tour. Be prepared to be swept back in time to learn about the Northern Irish involvement in WW2, the Northern Irish troubles and everything that has happened after these events right up until now. The tours run from Mon – Fri 11 am – 2 pm, lasting 45 minutes. If you don’t have City Sightseeing Hop-on / Hop-off ticket, you will need to walk from the grounds entrance to reach the Parlament Building (approx 1 mile). An expected security check is carried out before entering the building after which you will receive a pass to join on one of the tours. Tour guides are both witty and extremely knowledgeable. With a bit of Northern Irish humour thrown in the tour is fast-paced & captivating. 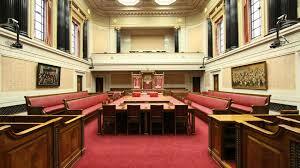 During the tour, you will get the chance to visit the Northern Ireland Assembly Room, where many historical agreements have been negotiated by some of Northern Ireland’s most well- known Politicians and Public Figures. All in all, an excellent tour and well worth your time. On 19 May 1928, the Governor of Northern Ireland the Duke of Abercorn laid the Foundation Stone for Parliament Buildings. On 16 November 1932, The Prince of Wales, Edward Windsor, opened Parliament Buildings. 80 years later, on 17 November 2012, a special open day will mark the historic occasion. Architect Sir Arnold Thornely of Liverpool designed Parliament Buildings to be 365ft wide, representing one foot for every day of the year. Parliament Buildings is a Grade-B listed building, designed in Greek Classical tradition. Standing at 92 feet high, Parliament Buildings is made from English Portland stone and is mounted on a granite base quarried from the Mourne Mountains in County Down. 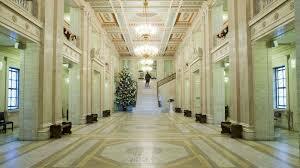 Representing the number of counties in Northern Ireland, Parliament Buildings has six floors and there are six pillars at the entrance to the building. Architect Arnold Thornley received a knighthood from George V in recognition of his architectural work on Parliament Buildings. 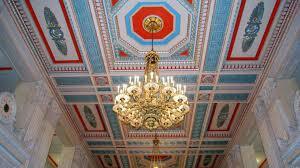 The blue, red and gold painted ceiling of the Great Hall remains untouched since it was first painted in 1932, thanks to a secret waxing process formulated by Heaton, Tabb & Co. of London. The Great Hall measures 26.85m x 14.31m and is the most richly-decorated part of Parliament Buildings. To camouflage Parliament Buildings during World War II, the building’s Portland stone was painted with a mixture of cow manure and bitumen. Removing the paint after the war was a huge challenge with the mixture having stained the stonework. The paint mixture took seven years to remove and the exterior façade never regained its original white colour. The avenue leading up to Parliament Buildings is lined with 305 red-twigged lime trees which have survived since they were first planted in the 1920s. 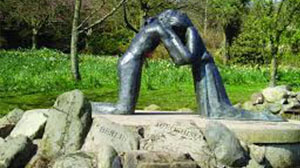 It is one mile from the gates at the bottom of Prince of Wales Avenue to the front steps of Parliament Buildings. There are almost 2000 meters of corridors across the six floors in Parliament Buildings. Tours run from Mon – Fri 11 am – 2 pm, lasting 45 minutes. City Sightseeing can be contacted by email at info@citysightseeingbelfast.com or through our tour office on 028 90 321 321. We look forward to seeing you soon!